Nevada residents who are involved in estate planning often do so in order to make matters easier on surviving family members when the time comes. This could include keeping assets out of probate, so that they are available to family members as quickly as possible. 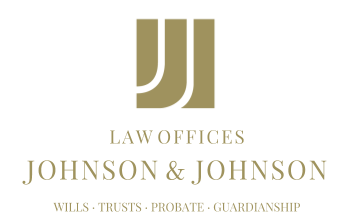 There are numerous estate planning options to help keep assets out of probate and in the hands of loved ones. Many Nevada residents will create revocable living trusts. The property that is put into these trusts will not go through probate. They will be available immediately for distribution to beneficiaries in accordance with the terms of the trusts. During the lifetime of the trust’s creator, the terms, beneficiaries and assets can be changed as needed. It only becomes irrevocable after the creator of the trust passes away. It may also be possible to gift assets to family members before death. There are certain limitations on the value of assets that can be given to someone who is not a spouse without creating a taxable event. Gifting assets will reduce an individual’s taxable estate. Property that is held jointly will transfer to the surviving party upon death. Certain accounts and other property could be transferred directly upon death through beneficiary designations and payable on death forms. Determining the best way to transfer property in order to keep it out of probate requires a knowledge of estate planning law. Therefore, it would be beneficial to consult with an attorney who does substantial work in this area. That person can help create an estate plan that meets a Nevada resident’s goals and makes the distribution of property as easy, cost-effective and timely as possible.